Home to 2 awesome trails! 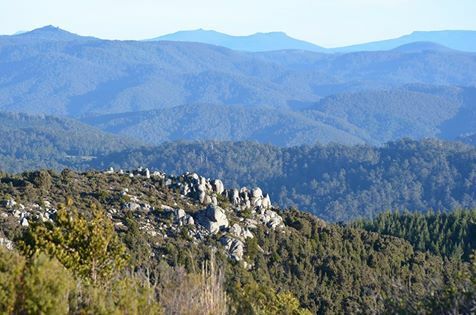 The Blue Tier is a large area of native forest characterised by dense tracks of wet myrtle forest, granite bedrock, and a significant elevation range. 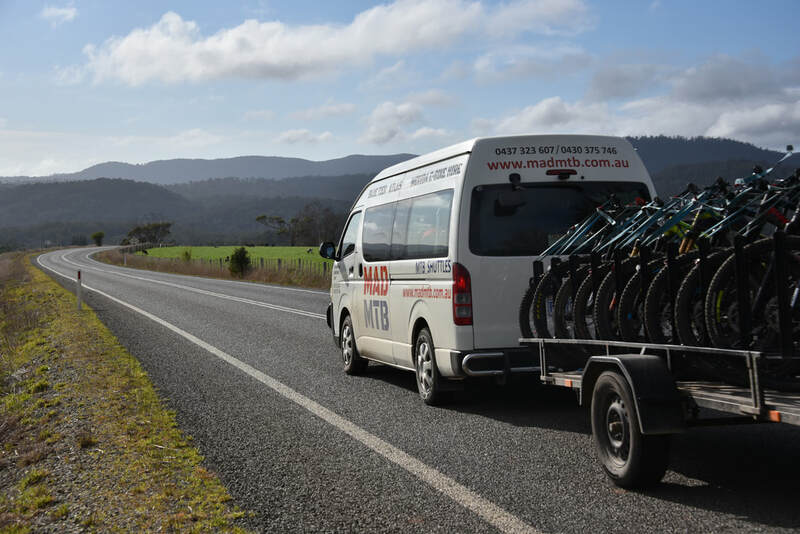 Rising from the towns of Weldborough and Moorina, the Blue Tier has long held appeal with mountain bike riders, who have for many years populated the existing trails in the area. Previous, it was a tin mine owned township with 3000 residents, post office, school, two stores and three pub. Now, there is just the wilderness. Read more at this link. The Blue Tier consists of a range of hills, mountains and alpine plateaus situated approximately 35kms east of Scottsdale, and 25kms North West of St Helens. The Blue Tier site has a wide elevation range of approximately 100 metres above mean seal level (AMSL) to 859 metres AMSL, which will allow the development of trails that will offer both sustained climbs and descents. The complete trail system proposed for the Blue Tier may be ridden as an uninterrupted whole, or may be split into shorter loops, allowing a wide variety of ride options. The potential also exists to shuttle the trails, providing long and continual descents. A significant attraction of the area is the ability to build trails with sustained climbing and descending, allowing for the creation of a true 'wild ride' experience. Travel time via car between Derby and Weldborough is 25 minutes. Add another 25 minutes of travelling will get you to the top of the Blue Tier. The Blue Tier is an exposed place and can be wet, cold & very windy. At the start, it is sub-alpine. Mobile Reception - no, unless on Mt Poimenia or on way up. 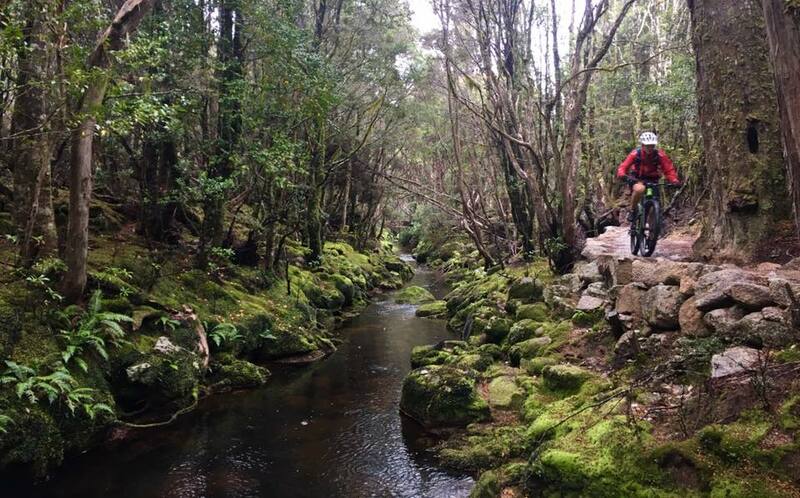 ​Some old school trails in the region include, if you get sick of the new trail! This link is a great little Pinkbike article on riding the original Blue Tier Descent and good times had at the Weldborough Pub! Flow Mountainbike at this link. Note - The Blue Tier can be shuttled from Weldborough or Derby. If you shuttle from Derby, you can make it full day trip, including stopping at the Weldborough Hotel (for lunch) before getting a shuttle from the pub to the top of the Atlas trail. This makes it a 38 km ride. More, if you do another Big Chook or add a Return to Sender on the end of it. Commercial shuttle operators pick up at Derby & Weldborough Hotel. Note - You don't have to shuttle to Atlas. You can ride up the gravel road 4 km (Mt Paris Dam Rd) and the 2 km missing link to the Atlas trail head (This makes it a 44km ride = epic ride). Obviously, after a few bevvies & steak sandwich at the Weldborough Hotel, the 6 km climb isn't much fun!